This is an All-Inclusive Resort. 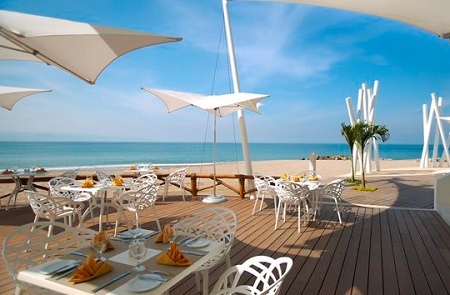 Enjoy all meals & snacks, limitless domestic & international beverages, daytime activities, and nightly entertainment. 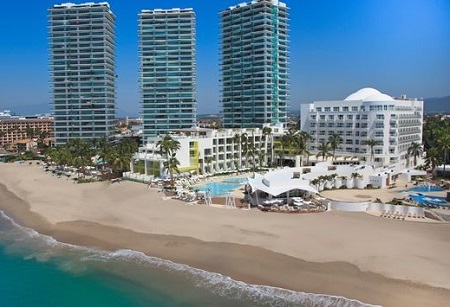 A vibrant and charming port city makes Puerto Vallarta a top destination along the Mexican Pacific Coast. Balmy breezes intersect with the rugged Sierra Madres mountains to a city with lush vegetation, rich culture and a host of sightseeing adventures like the Malecon, markets and more. From cocktails to dining, modern cuisine to rustic flavors, indoor to outdoor seating, delight in the many all-inclusive choices. We provide guests with true dining variety including weekly themes, special events, private beachside dining packages and more. Spend the day enjoying poolside or in-room dining service or sushi at the adult-only bar. 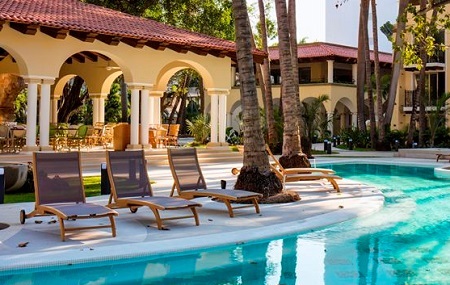 Indulge in design ranging from modern-contemporary to Mexican Hacienda style, and amenities and experiences that capture the essence of Puerto Vallarta. It's easy to relax among swaying palms and beautiful gardens. 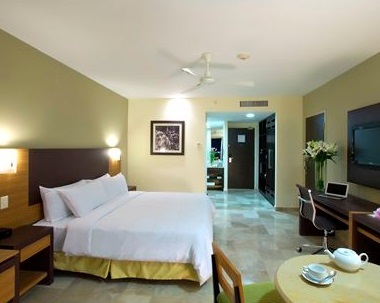 Offer is based on a Double Occupancy in a One King or Two Double Beds Resort View Room. Admire impressive views of the Sierra Madre and the resort from this all inclusive room with king-sized bed or 2 double beds. Enjoy movies and premium TV channels on the 32-inch LCD TV or re-energize in the bathroom with refreshing bath amenities. The room includes a desk, ergonomic chair and WiFi (surcharge). Additional features include a Hilton alarm clock radio with MP3 connection, coffeemaker, mini-refrigerator and safe. Upgrades Available - See "Hotels to choose from" below. Offer is based on double occupancy. A single supplement of $100 per night is available to those traveling or rooming solo.